Want to learn about the latest and greatest updates in home and garden solutions? 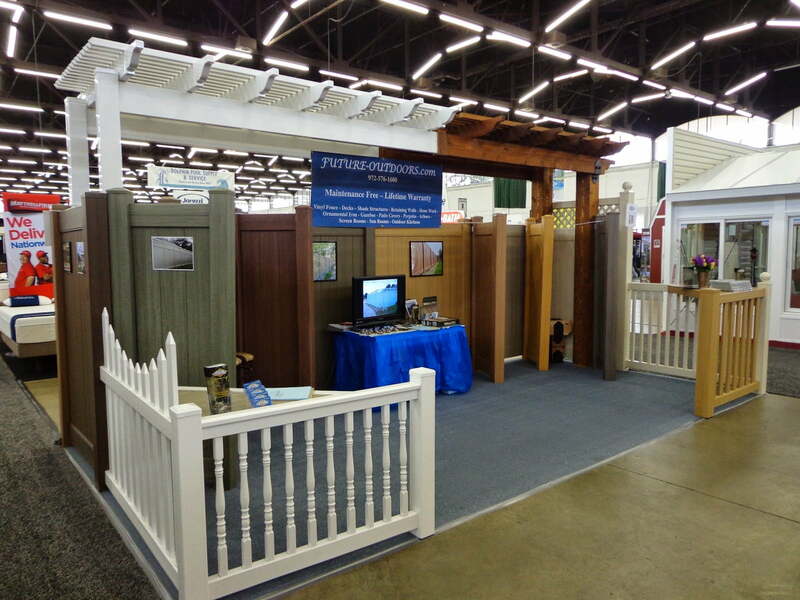 Visit the 36th annual Spring Texas Home & Garden Show on March 6th through the 8th at the Dallas Market Hall. We’ll be one of the hundreds of exhibitors showing off great indoor and outdoor products and innovations to make your home beautiful. What kinds of options you can get with your vinyl fence, deck, or shade structure. Additionally, we’ll have a full display of our vinyl products available at our booth so you can see the quality of the vinyl as well as the color options you can choose from. Our colors include Chestnut Brown, Redwood and Weathered Cedar, as well as the traditional white vinyl. Finally, you’ll be able to talk to our knowledgeable contractors and salespeople at the event, giving you plenty of opportunity to learn about the benefits of vinyl fencing and shade structures compared to wood and other materials. If you’re interested in attending the show, you can purchase tickets at the door or ahead of time at the Texas Home & Garden show website. Tickets cost $10 for general admission, $8 for seniors and military, and nothing at all for children age 14 and under. The National Association of the Remodeling Industry (NARI) pavilion, where you can talk to expert home remodelers and even show them home plans for advice and tips. The Dallas County Master Gardeners Stage, where master gardeners will give you advice and answer questions about your garden projects. Saturday and Sunday workshops on a variety of topics and subjects, suitable for any home and garden enthusiast. An expanded KidsZone featuring inflatable rides and educational classes and projects to entertain the little ones all day. If you’re interested in learning more, visit the Texas Home & Garden show website. And to get updates on the latest vinyl fencing and shade structure projects from Future Outdoors, follow us on Facebook or Twitter. You can also call us at (972) 576-1600 to get answers to your questions and set up an appointment for your free vinyl fence or shade structure quote.